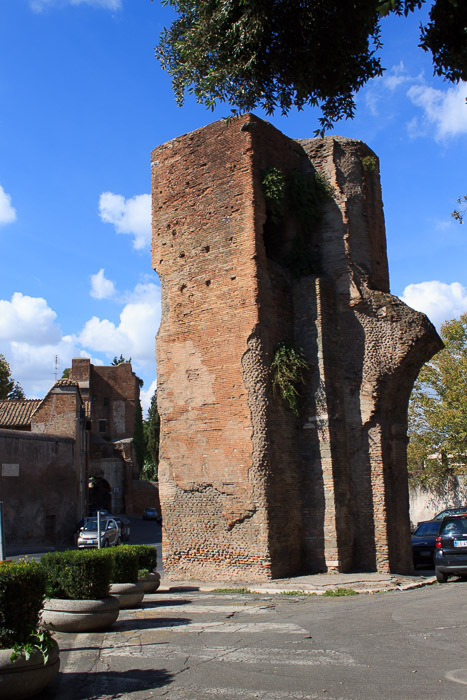 Aqua Neroniano or Aqua Caelimontani is a branch of the Aqua Claudia aqueduct which supplied water to the Aventine Hill, the palaces on the Palatine Hill and Trastevere. 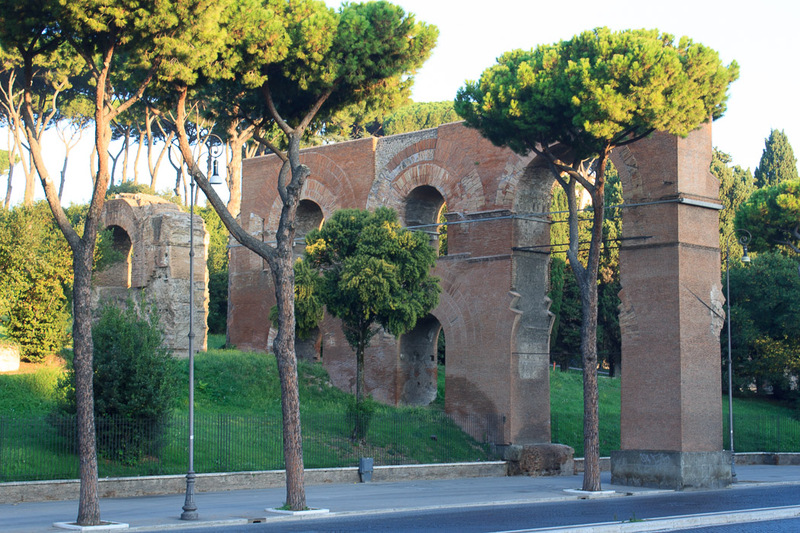 The branch was taken right before Aqua Claudia reached Porta Maggiore. From there it runs along Via Statilia, then westerly over ArcusCaelimontani near the church of Santo Stefano Rotundo. 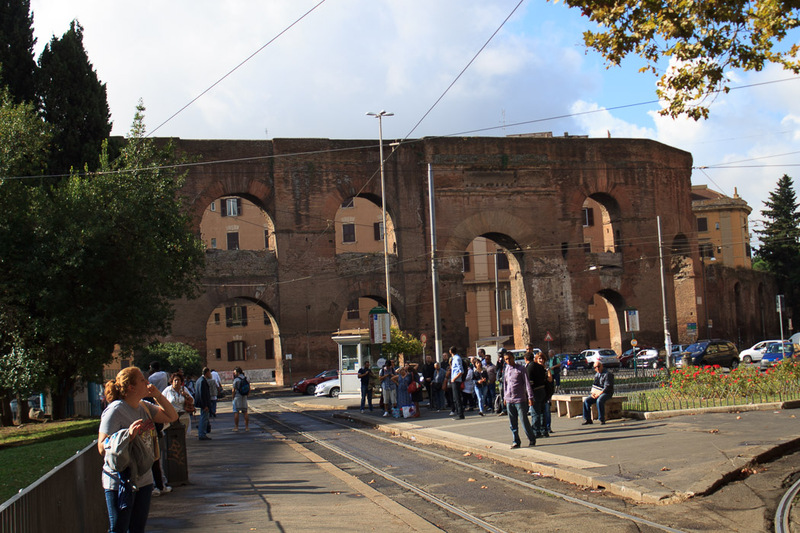 From there was a branch leading to the Aventine Hill, one leading to a distribution point at the Temple of Claudius, and a third short branch built by Domitian spanning the valley between the Caelian Hill and the Palatine Hill, which fed water to the imperial palaces. See all Aqua Neroniano photos.